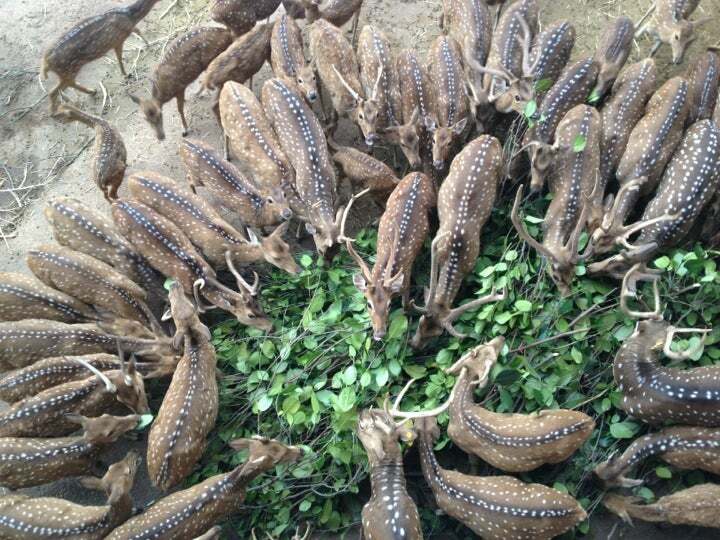 Why National Zoological Gardens of Sri Lanka is special ? Dehiwala Zoo remains open throughout the year, barring few occasions, and it draws huge number of tourists all around the world. 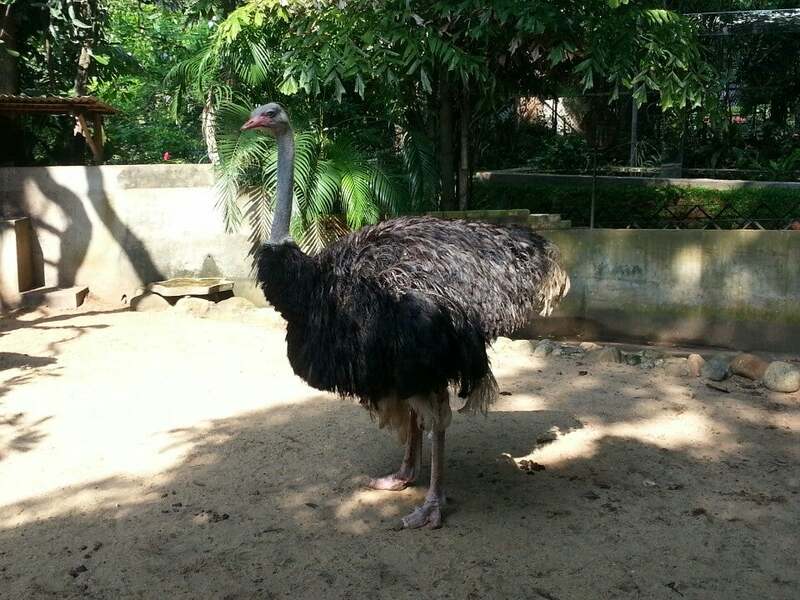 Besides being considered as one of the oldest zoological gardens in Asia, Dehiwala Zoo is a home to many different species of birds, reptiles, mammals etc that are unlikely to be found in any other zoos in Sri Lanka. 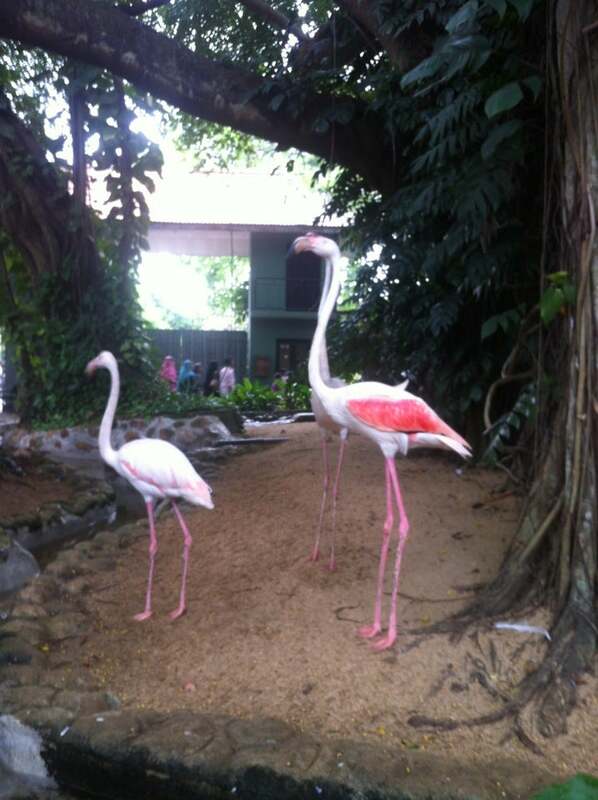 Some of its attractions are reptile house, butterfly garden, aquarium walk through aviary etc. Its convenient location coupled with its innumerable attractions has helped it to get regular visitors all around the year. In order to increase its diversity Dehiwala Zoo often participates in animal exchange program with others zoos of the world. Through this program, it has managed to get some rare species of animals such as seals, anaconda etc. Dehiwala Zoo is covered with huge trees of different species. It also has a small garden that is bedecked with water fountains, colorful flowers and green foliage of big trees. What to explore at National Zoological Gardens of Sri Lanka? Dehiwala zoo, its gardens , now 24 acres in extent are best experiences early morning as soon as the zoo opens. The animals about 350 species are naturally arose active in the mornings going through feeding and cleaning rituals. It is cooler and not crowded as yet. Zoo really gets overcrowded during weekends , holidays and remains open 8 am to 6pm. You will see different species of animals brought from various countries of the world at the Dehiwala zoo, lions, tigers, leopards, hyenas, wolves, cheetahs, bears, rhinos etc. 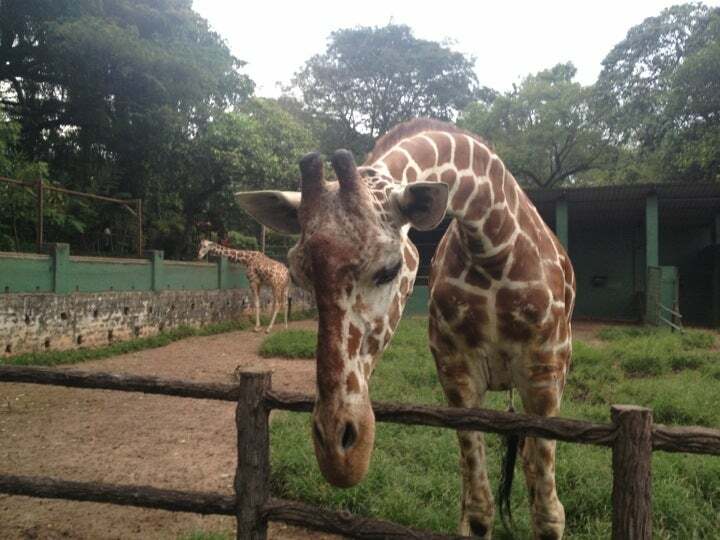 Even huge animals like elephants, giraffes are also kept in the zoo. As there is greater freedom here than in the many zoos around the world, thousands of visitors visit the zoo every year. The sight of colourful storks at the screaming macaws ruffling mix bright places soon make any visitor quite at ease. Diversity of the zoo is indicated by the presence of an aquarium walk through aviary, reptile louse, butterfly house and many cages and enclosures. There are more than 500 varies of marine life at the aquarium ï¿½ Min Medura- built especially with the children in mind. Colourful fish brought from different countries of the world could be viewed here inside the zoo and is regarded as the only aquarium of its kind in Asia. In the reptile house, there is a rare albino cobra and an enormous python. Children are fascinated to watch the little tortoises riding on backs of fierce crocodiles. Creatures like owls and bats in during natural habitant are allowed to be viewed by the visitors. The zoo has an excellent collection of primates, anthropoids chime apes, monkeys and lions. 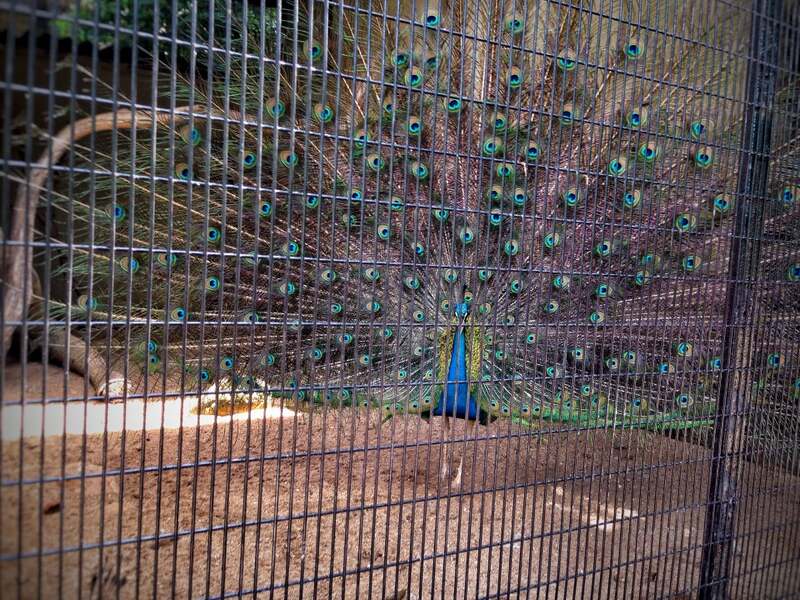 Aviary up with a variety of beautiful feathered friends is an interesting sight to see . You also can visit the butterfly house that of various hues fluttering here and there. Large lake at the centre of the zoo is a playing ground of many species of aquatics birds that r own accord. It is really a breeding ground for egrets, pelicans, cormorants etc..
Group of jackals penguins focussed at the zoo is a symbol of its progress. They are the results of an partnership with other zoos. They had originally come from the Tokyo sea life Park. These birds you could find in an air conditioned section but also could be seen in outdoor fields and also in glaze fronted tanks. They are a good sight to see their feeding time. The chick this colony is housing now is really is a result of his zoo had successfully breed these species in captivity. The crowding moment of a visit to the zoo is the elephant circus which commences at 5:15 pm. With extra shows on Sundays and holidays at 3:15 pm. These huge animals performing all kind of tricks such as standing up on their heads wiggling their backs to music, standing up on their hind legs or hopping on one foot. When the largest elephant starts playing a second legs mouth organ, the other elephants starts start skipping and trooping behind. The most existing moment is when an elephant keeps its foot on the stomach of the mahout and raise him by the head using its mouth. Museum and a live reef tank have been established at the zoo recently. Dehiwala zoo has trails with signposts and paths so that a visitor can find their way with ease. It required guides could be arranged at the office but wheelchairs access along the paths is really limited. Snacks and drinks are available through out the day and the restaurant caters to special needs of the visitors. Finally it should be stated that a trip to the Dehiwala zoo with its well laid gardens and a variety of fanua give the visitor an opportunity to relax and to get away from the noisy atmosphere of the city and to keep in touch with nature. How to get to National Zoological Gardens of Sri Lanka? gers and can often drive rather dangerously.Long distance services are operated from Colombo at the Pettah Central Bus Depot. There are two services, one operated by the Sri Lanka Transport Board and the other operated by private bus companies. The private bus station is located close to the Central Depot. Most of the buses have air-conditioning. Buses to the coastal towns depart every ½ an hour while Kandy is every 15 minutes. There is an elephant show here every evening. You should try to catch the time of feeding for elephant and sea lions which is around 10.00am and 4.00 p.m. There are full of people during weekends, so you should get there on weekdays. Green anaconda, albino cobra and pygmy hippopotamus are main attraction. Video cams is not allowed inside. Timing marked near the entrance. The restaurant inside serves good food. beautiful grounds, long walks to the animals, but worth it, they have lions,white tigers, Bengal tigers,leopard, big cats, lots and lots and more lots,the elephant show was the best iv seen, great fun, and if your into birds,find out what time feeding time is! They have wild grey not our usall white ones! I was lucky enough to see a Herron,grey one and a night Herron, all had something very green long and so my crawling out of the water"there verion of the lock ness monster perhaps.? Yor given a map, and if your not sure of the feeding times ask a attendant,why? What makes it so different from anything else. The keepers throw the fish to the birds ok I get that! Normal you think they then open a gate, with. Huge wheele arrow, full of fish, I meen full, and to my suprise and delight, tipped the wheele barrow upside down,,locked the gate,the birds for mikes flew pecking, shaking, ska bling, to fight for the fish! Everyone got one!! Or two if they were lucky, the Herron got lucky, I got lucky as I got wonderful photos and videos, of him guzzling the fat fish, in bliss, it took him a good10 minitues to devour the tasty Morsel! Great entertainment, but not necessarily for all,as the little ones seemed frightened of the noise they were all making, and the claws came out in full force! Wonderful! Happy animals, clean zoo. 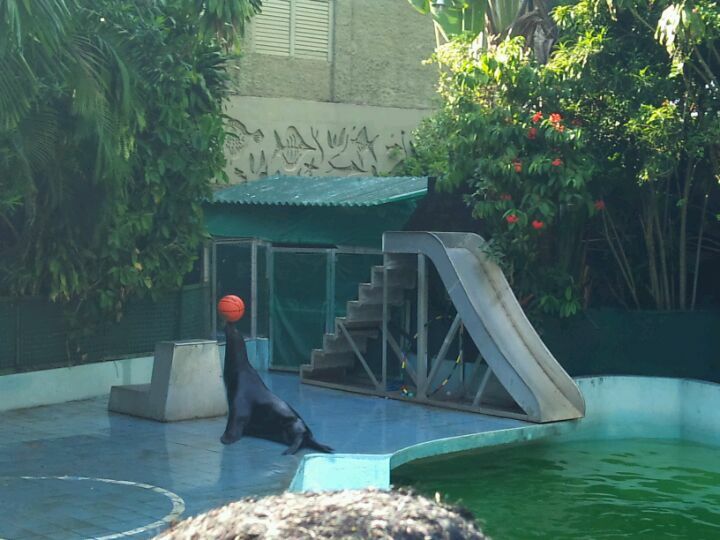 Daily sea lion ( 4 p.m.) and elephant ( 4.30 p.m. ) show. At weekends available elephant rides. Price for foreign tourists - 2500 rupees.